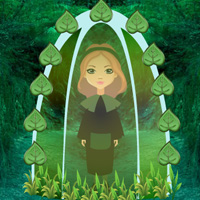 WOW Deep Forest Girl Rescue is another point & click escape game developed by WOWEscape. In this escape game, someone trapped a girl in a deep forest. By finding useful objects, hints and solving puzzles, you need to rescue the girl from that place. Good Luck and have fun! Cant make hint for trees, wheat etc. work. Not up or down. Wow, it took going in an out of the scene several times and many tries but it finally worked. Not impressed with that. TY, WOW for listening to our pleas to stop zooming to pick up items... Great game! Game worked smoothly for me, no glitches. Thanks WOW. Load game button still dose not work. Load has never worked for me on any game on EG24. Thanks for the game, WOW! And thanks also for listening to our comments about picking items up with one click. Tress were also a fail here. Red x-ed it. did tree one top to bottom.. cant get triangles to work though..
Aaah tickle fist to get triangle clue..
not too bad but symbols puzzle horrible.. Nothing wrong with this game at all!